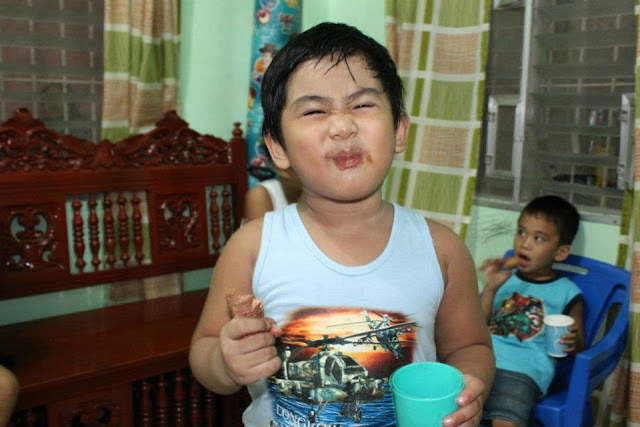 This is an overdue post on my B's 4th Birthday celebration, which was held last January. It was a simple celebration where we hosted an Ice Cream Party enjoyed by kids and adults as well. After unwrapping, he demanded to wear it even he is all in sweat from playing and endless round-up on family and friends. lucky, lucky child! :-) he looks so pogi in his jacket! How did you make the balloons?? Ang galing! Hi Anne! thanks for appreciating the balloons... scotch tape and brown paper board does the trick. I also made a tiny balloon as ice cream toppings, then tied it with nylon cord and hang. wow! 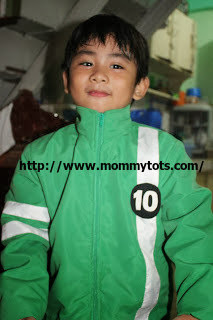 my son, Daryl, loves Ben 10, he would surely go crazy over that jacket! 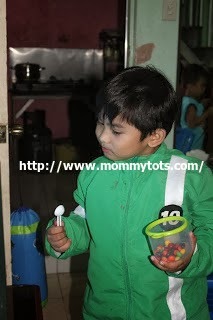 So handsome .... belated happy birthday, thumbs up mommy for having great party theme. Hi. 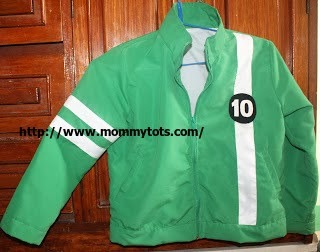 I like the ben10 jacket.looks really nice. Can i ask your tailoring to do this for my nephew.please... heres email shiela0219@yahoo.com. i wait for your responce.thanks so much.